(Phoenix – August 17, 2017) – Vestis Group, a multifamily brokerage and investment firm, is pleased to announce the sale of 4748 East White Drive, a 3,987 square-foot hillside estate in Paradise Valley, Arizona, for $1,600,000 or $401 per square foot. The buyer paid $1.6 million cash for this Paradise Valley mansion in Sunset Hills. There are three bedrooms and 3 1/2 bathrooms. 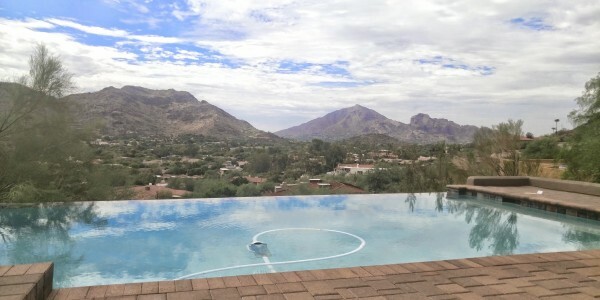 The home has 3,987 square feet and has views of Mummy Mountain, McDowell Mountain, Camelback Mountain, Phoenix Mountain Preserve and city lights in all directions. There are wrap around decks along the master bedroom, living room and kitchen. The hillside estate features a negative-edge pool and spa, floor to ceiling windows, guest casita and all the bedrooms are en-suite. The Phoenix based Vestis Group multifamily brokerage team of Natan Jacobs, Chad Barber and Matt Morrell negotiated the transaction on behalf of the buyer. The seller was represented by Kelly Jones of Russ Lyon Sotheby’s International Realty in Scottsdale, Arizona.